you are here : home > home & decor > Phuket Mitrmitree Co., Ltd.
overview of Phuket Mitrmitree Co., Ltd.
Phuket Mitrmitree Co., Ltd. has serving the civil engineering and construction industry in Phuket and other Provinces in Andaman Region for over a decade. We are accepted by government offices to work for loads of road construction projects throughout our long history. Further than the construction services, we are provide heavy equipments for rent. Whether you need a skid steer, dump truck, backhoe, tractor or compactor, wheel loader, forklift, or other machineries we can take care your requirements and industry needs. 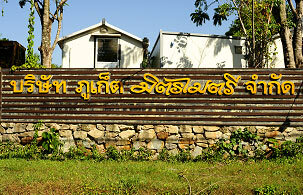 photo gallery of Phuket Mitrmitree Co., Ltd.
map & location of Phuket Mitrmitree Co., Ltd.